Sunrise Pala Session // Ratty Maty & Gary Young Go Nuts! Damn. This vide the guys over at Ride just posted made me want to go ride! Ratty Maty & Gary young definetly put in work.Some epic moves. Everyone at the session looks like they are having fun and killing it! Give this a watch! 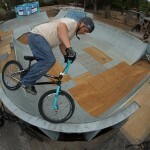 This entry was posted in Video and tagged Gary Young, pala, rattmaty, ryan fudger. Bookmark the permalink.